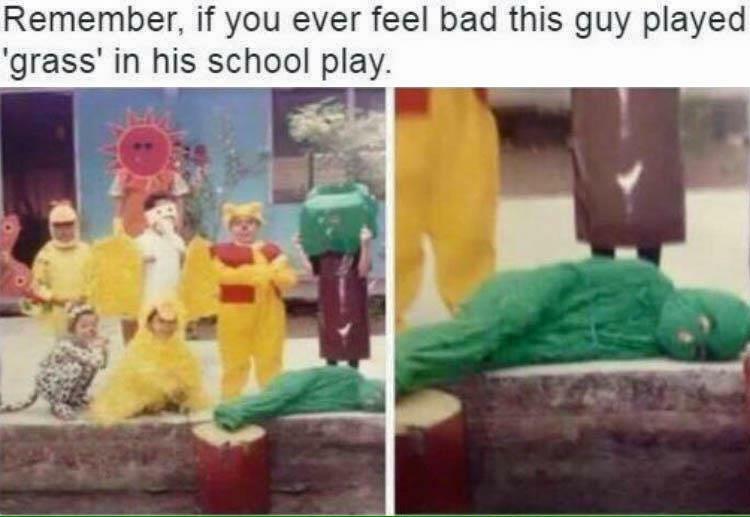 If you ever feel bad, just remember this guy played 'grass' in his school play. This door lock will test your skills every time you want to leave. If you ever feel bad, just remember this guy played 'grass'.. The never-ending toilet seat debate. Jack and Coke and Pepsi. Great diet tip. Lose the pants. Fat cat found a better use for the treadmill. Dad throws a giant snowball at his kid and the result is wh.. The game of Twister just got even more fun. Why you have never seen a Lamborghini commercial before.